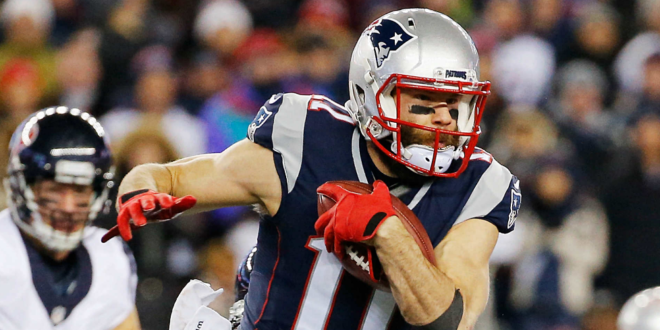 American football glove brand Cutters has announced a new partnership with Super Bowl champion Julian Edelman, wide receiver at the New England Patriots. The JE11 by Cutters Signature Series Glove glove design will join Edleman’s own apparel line under the JE11 label, in time for Edelman’s 2017 season kickoff at Patriots training camp. To complement the Signature Series, a fleece fan glove – the JE11 by Cutters Fan Series – will be available in September. "I’ve been geared up in Cutters since high school, all through my college days and NFL career," commented Edelman. "Nothing gives me more confidence or a bigger advantage than Cutters. Well, that and a ton of hard work. I’m excited to share my passion for Cutters with fans and fellow athletes – the gloves look great, feel amazing and the C-TACK technology delivers crazy grip in all conditions." "We’re honored and thrilled to welcome Julian Edelman to Team Cutters," added Tony Armand, CEO of United Sports Brands, parent company of Cutters. "As a long-time Cutters believer, Edelman makes for a perfect partner. Julian’s feedback on the development of a special Signature Series based on his years of personal experience was invaluable, and we’re excited to bring his signature style to today’s football players looking to make their own miracles this season."